HI EVERYONE. I finally went to a concert again! The material of Juliane Banse and Helmut Deutsch’s Konzerthaus Liederabend–songs by Loewe, Liszt, Britten and Marx–could not, with a few exceptions, be called lighthearted. But after my last few Liederabends I was relieved that nobody died. And besides, this was a beautiful program beautifully performed, and what more do you need than that? Juliane Banse, soprano; Helmut Deutsch, piano. Konzerthaus Mozart-Saal, 26/11/10. Much of this music was new to me (I already knew a few of the Liszt songs and listened to the Marx in advance). But most of the texts were not. The Loewe songs in particular present German Lit’s Greatest Hits, and even if your experience with German poetry is limited and your lieder knowledge is confined to the most popular stuff, you probably know many of them too. We even had double settings of a few poems between the Liszt and Loewe sets. And you might remember two of those Marx texts from Pierrot Lunaire. Knowing the texts but not the music made for an interesting experience. Banse gave an amazing physical performance in the Staatsoper’s Cardillac earlier this season, and here she was more expressive in face and sometimes gesture than many lieder singers. Her voice is hard to describe. It’s not exactly luscious, can sound dry, and sometimes a little hollow around the middle region and tense at the top. But it has a unique face, and a sort of innate pathos that makes her a lot more interesting than a more generic singer. And she really knows how to use it musically and expressively. She is both direct and naturally dramatic in her use of texts and unerringly musical and in tune–and coordinated with the ever-present Helmut Deutsch. Many of these texts have more famous settings, but Banse’s interpretations were so sincere and right that it felt like hearing them again for the first time. This was a nicely structured program, building in chromaticism through the evening (with a break in the Britten). 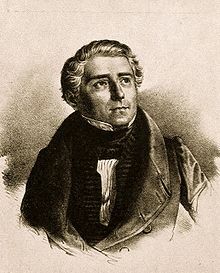 Carl Loewe (1796-1869) is a composer known mostly to Lieder enthusiasts. His Op. 9 songs are very Schubertian in style, simple on the surface but given expressive weight and depth as well as fine phrasing by Banse and Deutsch. In “Meine Ruh ist hin,” Loewe’s Gretchen doesn’t have Schubert’s obsessive ostinatos and repetition, but rather an unsteady, disturbed jumping up to high notes. 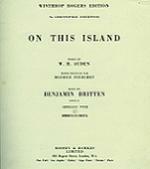 But the color of Banse’s voice felt better suited to the more generalized intensity of the following Liszt set, emphatic in the outburst of “Vergiftet sind meine Lieder” and rising to operatic heights in “Der du von Himmel bist.” She showed fine restraint and pacing in “Es war ein König von Thule,” though Liszt is less a dramatic lieder composer than an atmospheric one. Joseph Marx’s songs have the lyric vocal lines of Richard Strauss combined with the more delicate and impressionistic piano parts of Ravel and Debussy. It’s a good combination, and I particularly appreciated Deutsch’s contribution in these striking piano parts. Like the Liszt, these songs were more generally expressive than word-specific. The excited woman in love in “Und gestern hat er mir Rosen gebracht” is particularly charming, and the set ended the concert, for once, in happy post-Romantic languor. I will definitely be looking for more Marx. The house was not quite full but the reception very warm, and there were three encores: two Liszt, one Robert Franz. I did not take any pictures, when no one else is I always feel embarrassed and don’t. Beautiful dress, though. Also, Juliane Banse has a new CD of Walter Braunfels’s Jeanne d’Arc that I really really want to hear! Props for very interesting repertoire choices. Sorry to FURTHER epilogue-ize, but by the way I should mention that I actually DID go to something between this and my last review but I did not write about it because I should not write about something I only saw half of. It really was that bad, honest. It shall remain nameless.